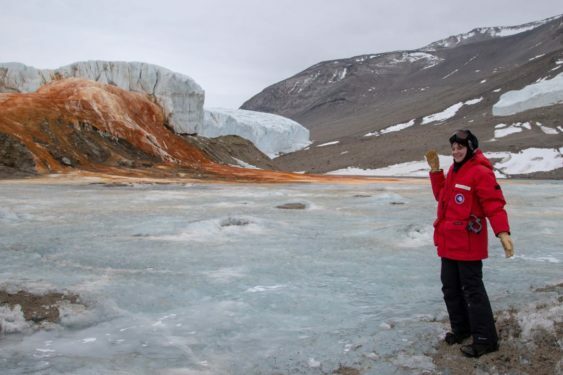 During a five-week expedition to Antarctica, San Francisco Microscopical Society member Ariel Waldman set out to reveal the “microbial Serengeti” that lives beneath the continent’s ice. Embedded in glaciers, under the sea ice, and swimming in subglacial ponds, a large variety of microbes (including tardigrades!) not only survive in this polar desert but thrive. Photographed and video-recorded by Ariel, the microscopic population will amaze you and enrich your understanding of Antarctic ecology. Free, limited seating. Doors open for the San Francisco Microscopical Society’s meeting at 6:30pm, followed by the talk at 7pm.